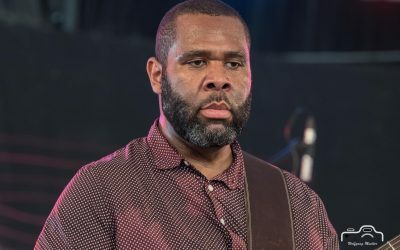 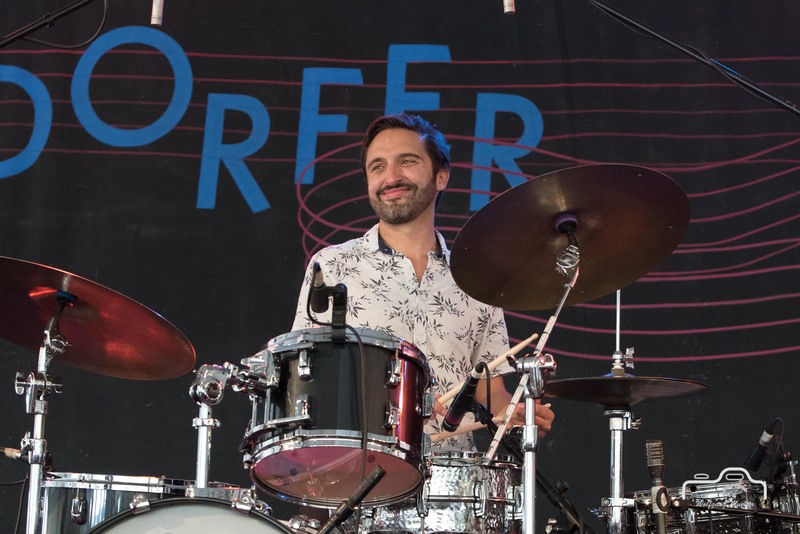 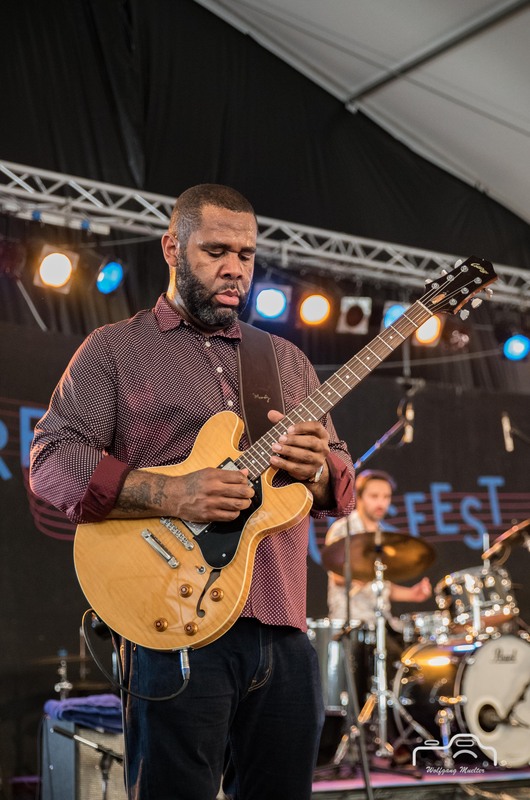 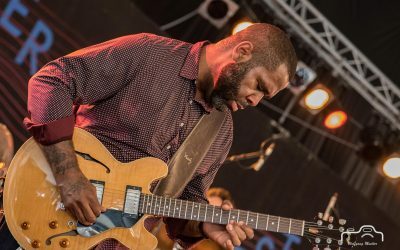 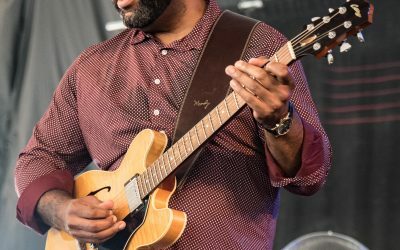 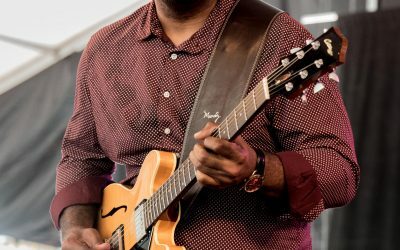 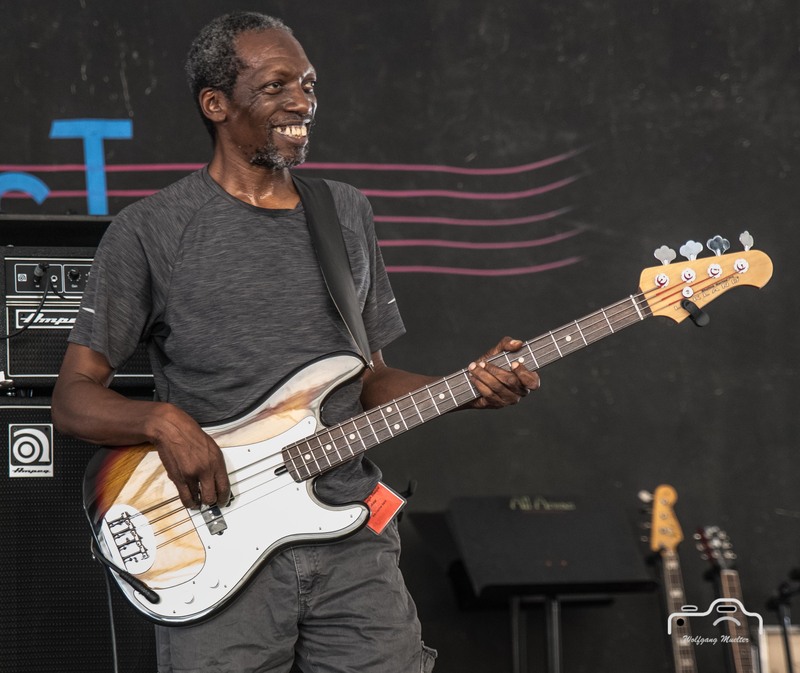 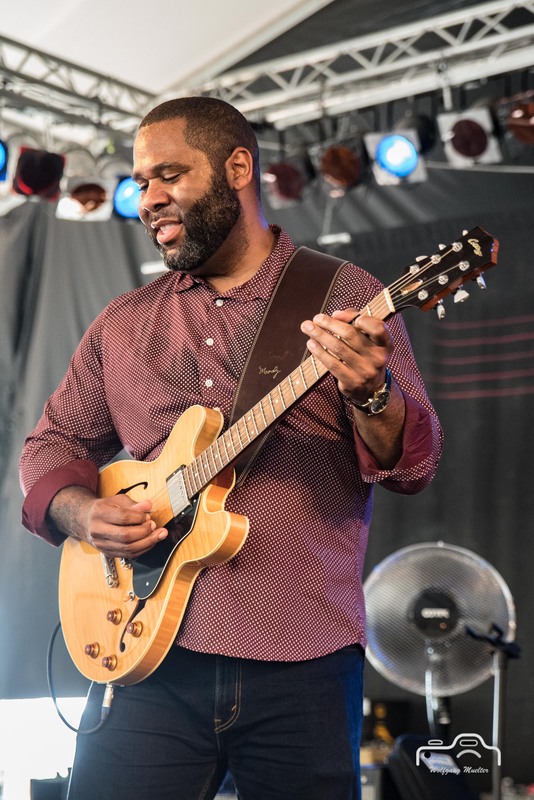 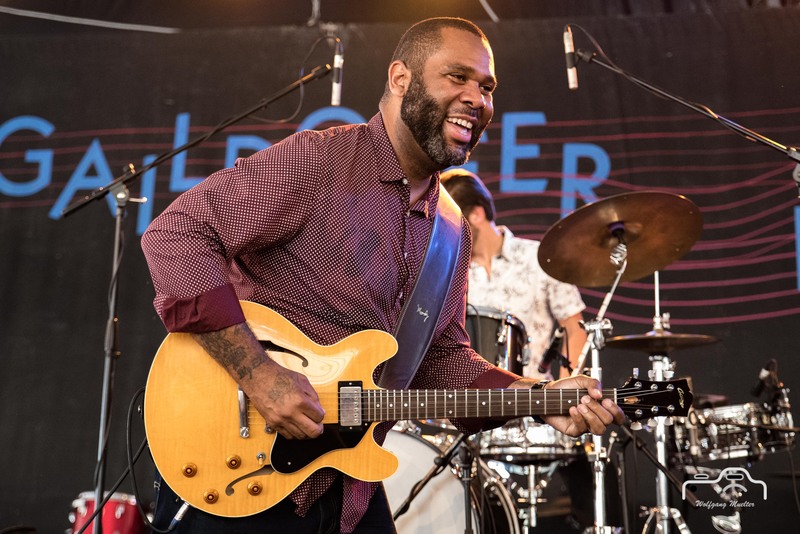 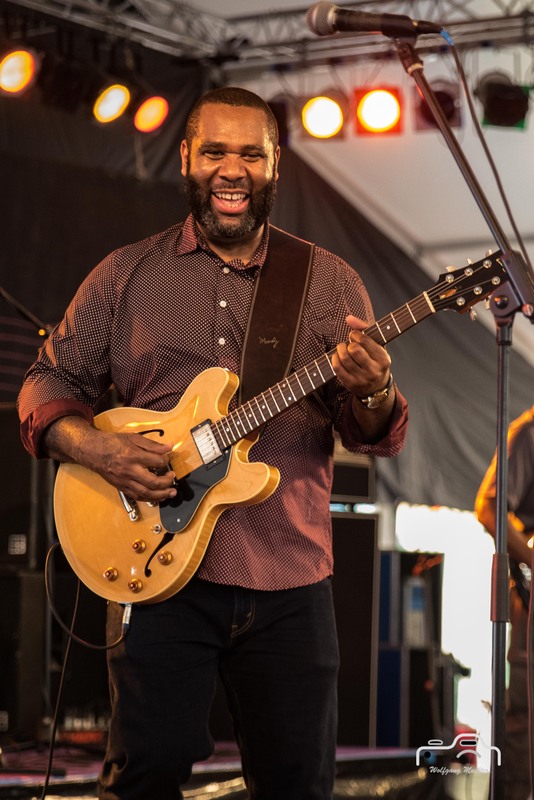 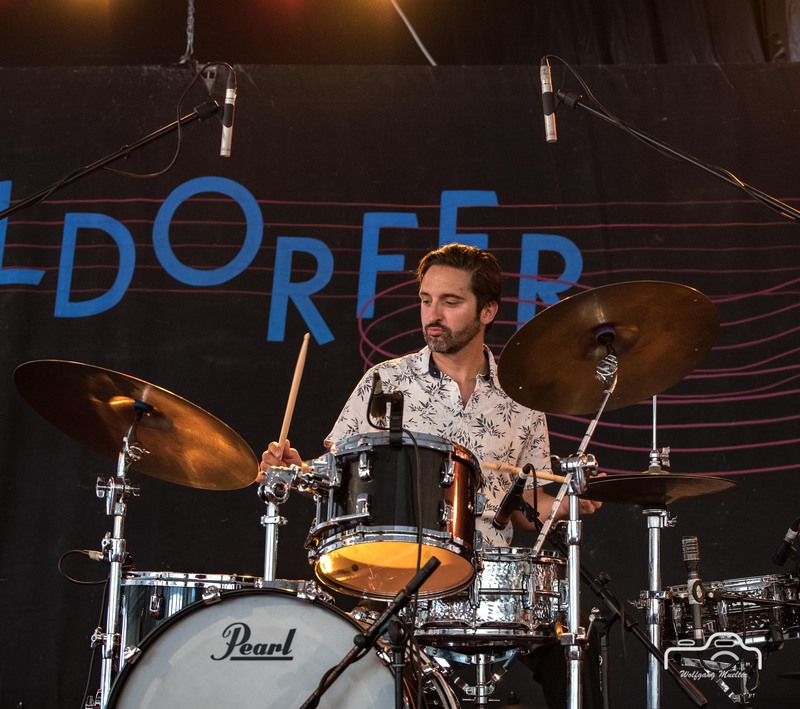 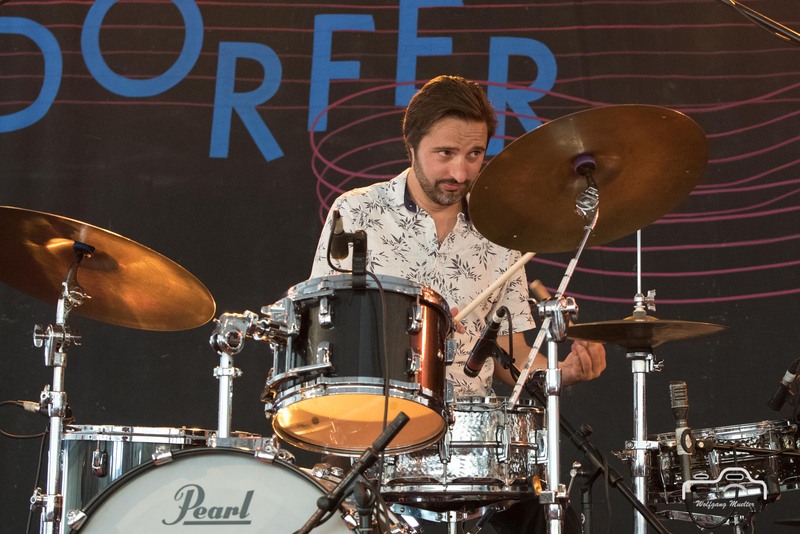 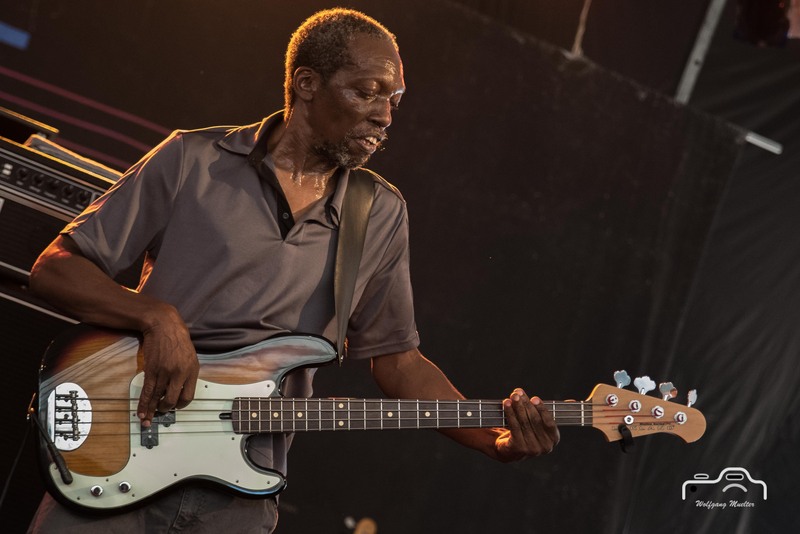 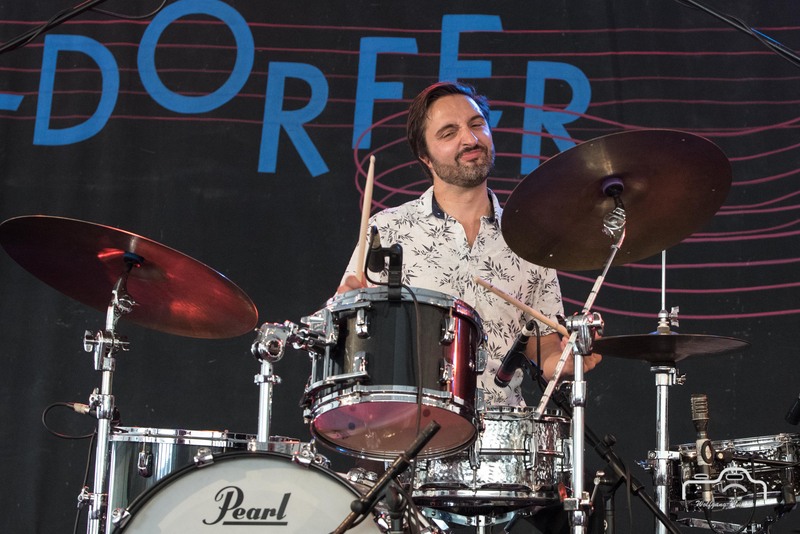 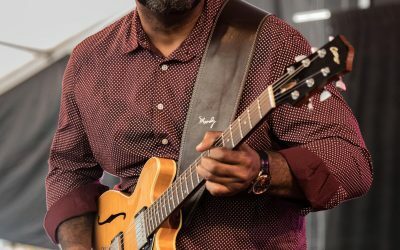 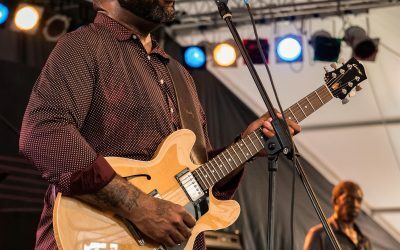 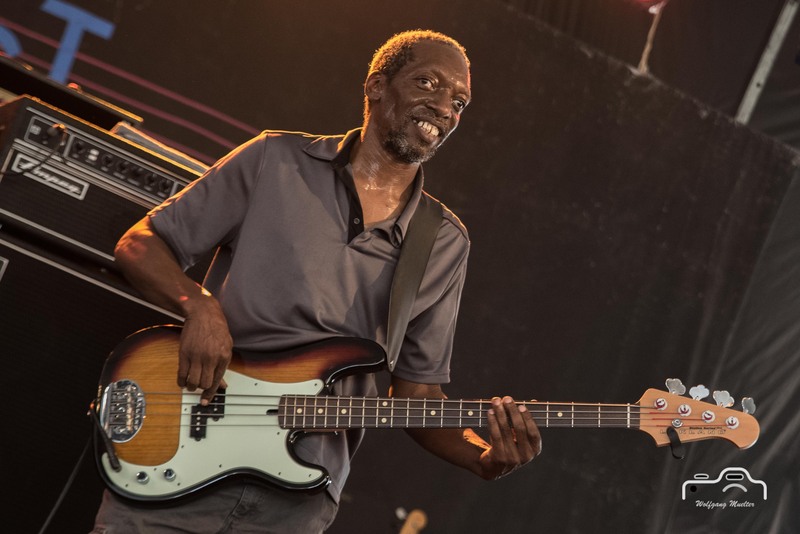 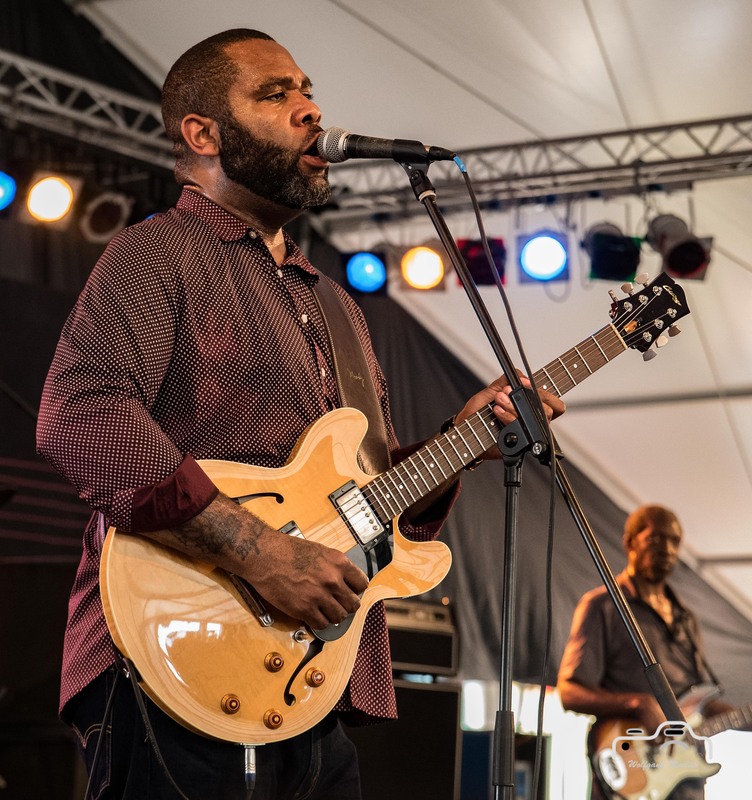 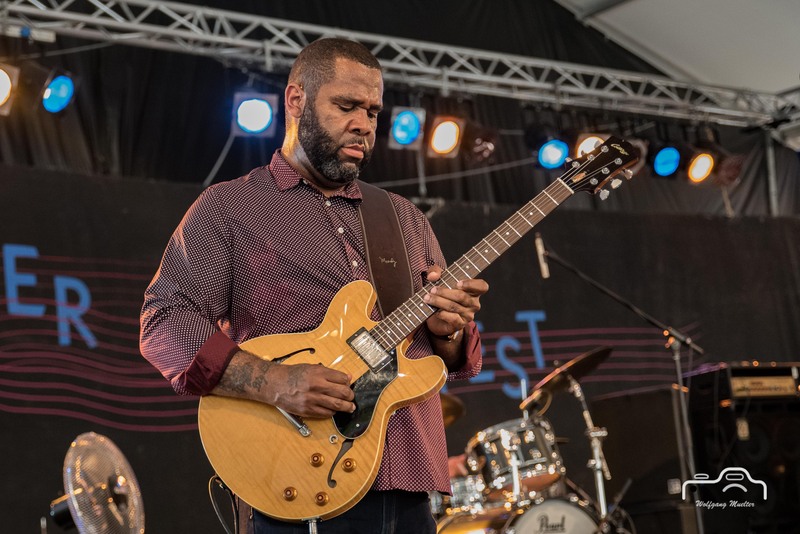 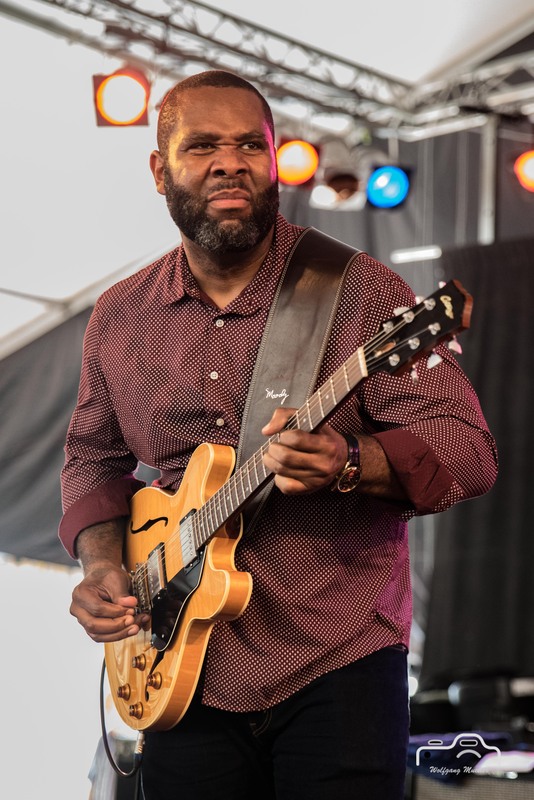 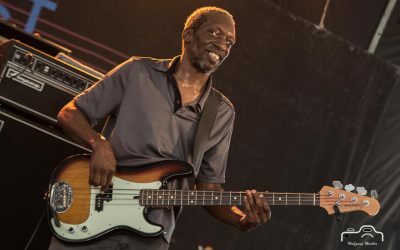 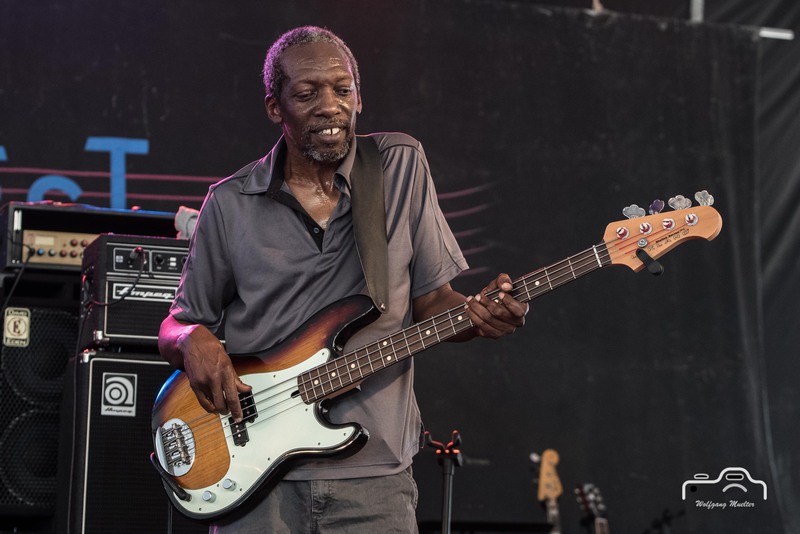 Kirk Fletcher Band in a fascinating show at Gaildorf Bluesfest 2017 on 2017-07-08. 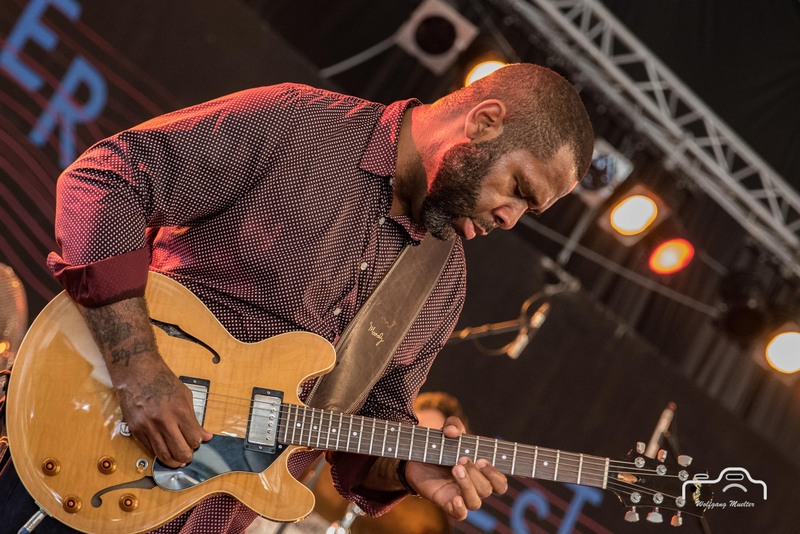 Kirk Fletcher Band are Kirk Fletcher (g. voc), Simon Oslender (keys), Kris Jefferson (b) and Fabrice Bessouat (dr). 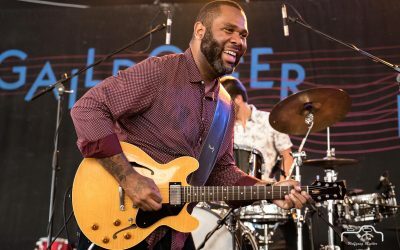 Kirk Fletcher has a reputation as a bonafide can’t-miss performer. 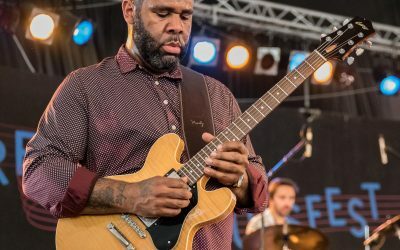 His soulful playing and singing never fails to elicit chills, and his unique approach to blues and roots music is both refreshingly modern and completely authentic. 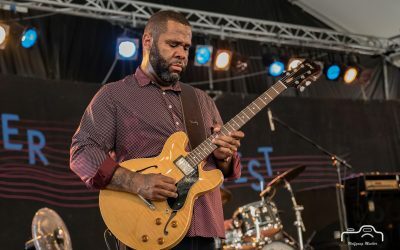 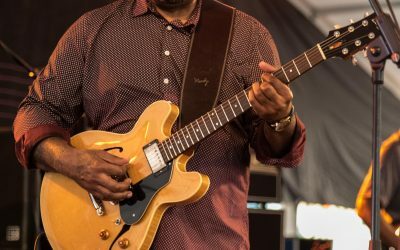 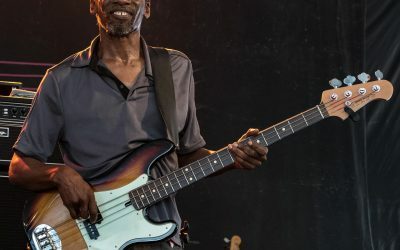 Widely considered one of the best blues guitarists in the world, he has commanded the respect and acclaim of critics, peers and fans across the globe. 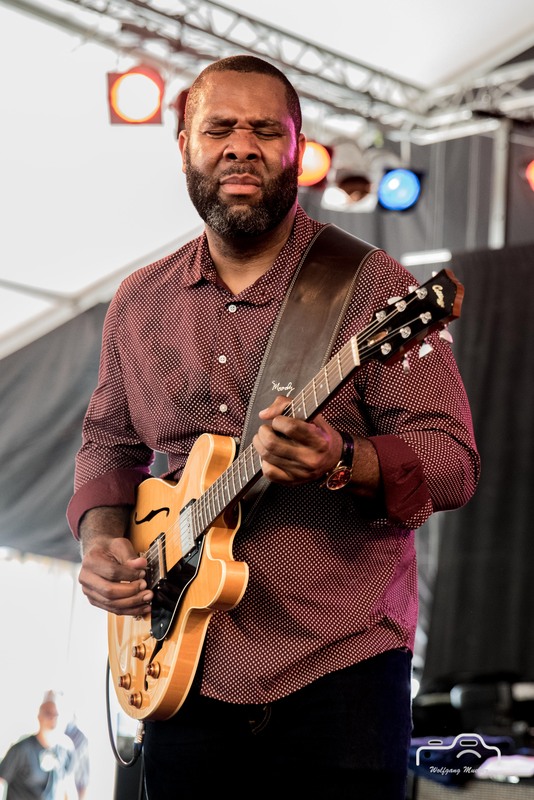 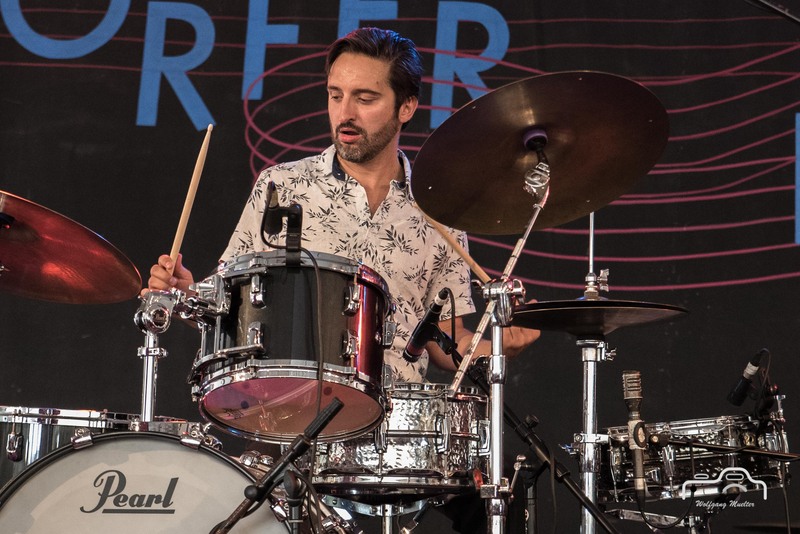 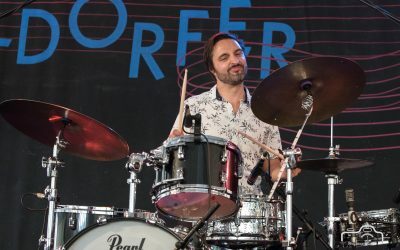 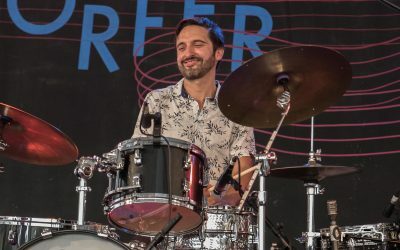 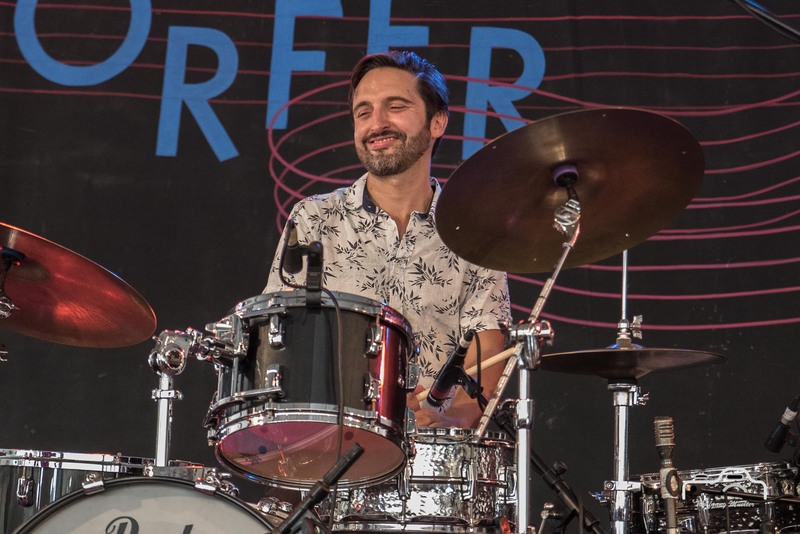 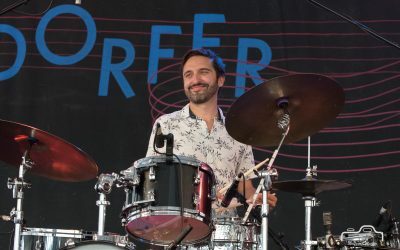 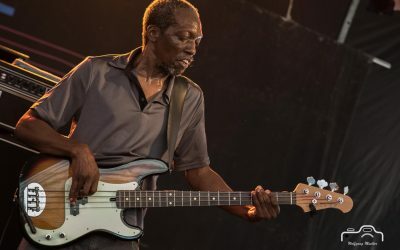 He is a four-time Blues Music Award and a 2015 British Blues Award nominee and has played with a variety of popular artists, including Joe Bonamassa and a three-year role as lead guitarist of The Fabulous Thunderbirds. 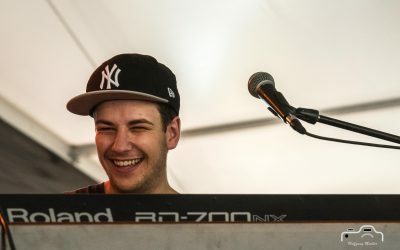 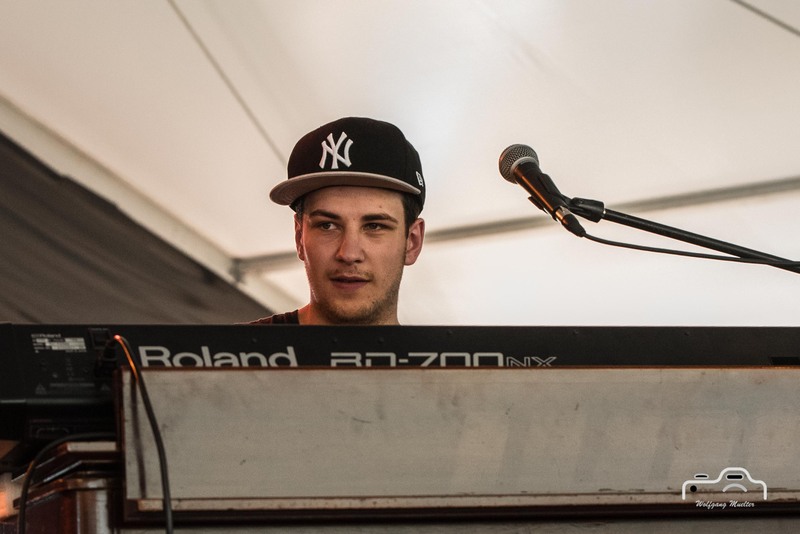 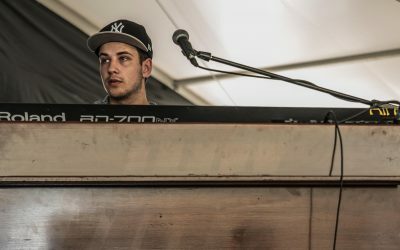 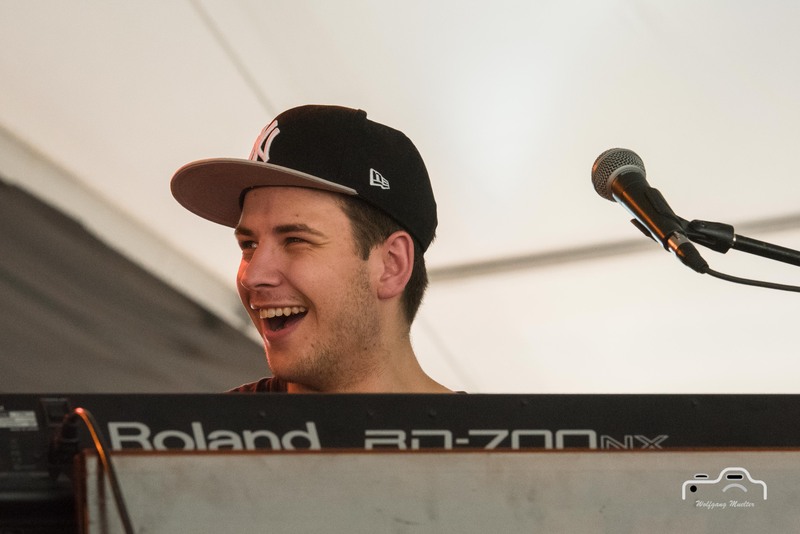 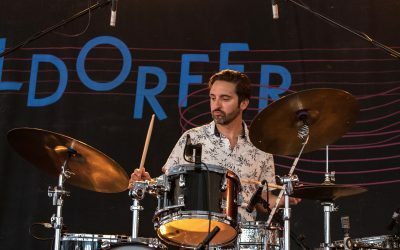 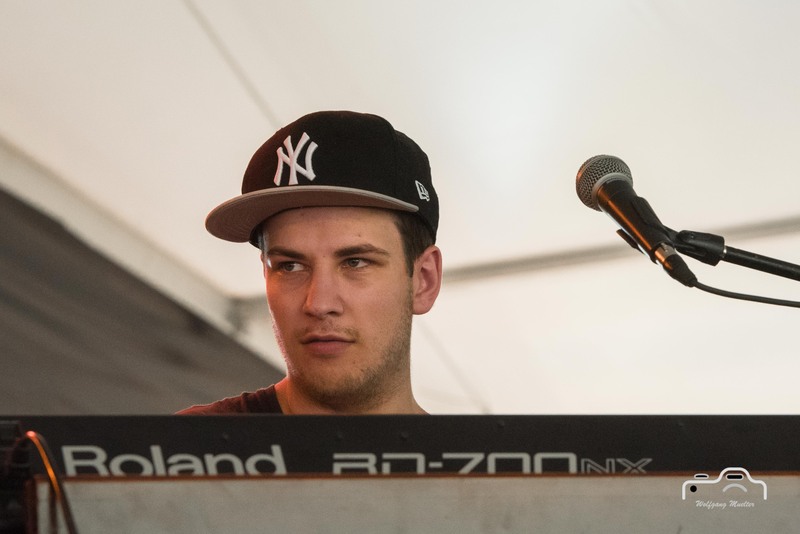 Amazing 19 years old Simon Oslender is the biggest talent on the B3 Hammond organ in Germany. 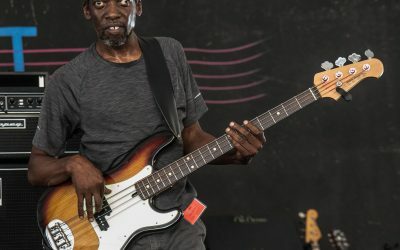 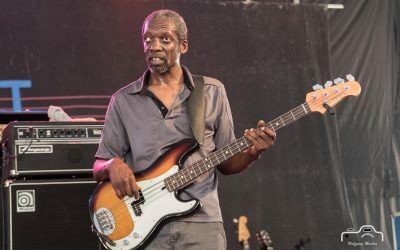 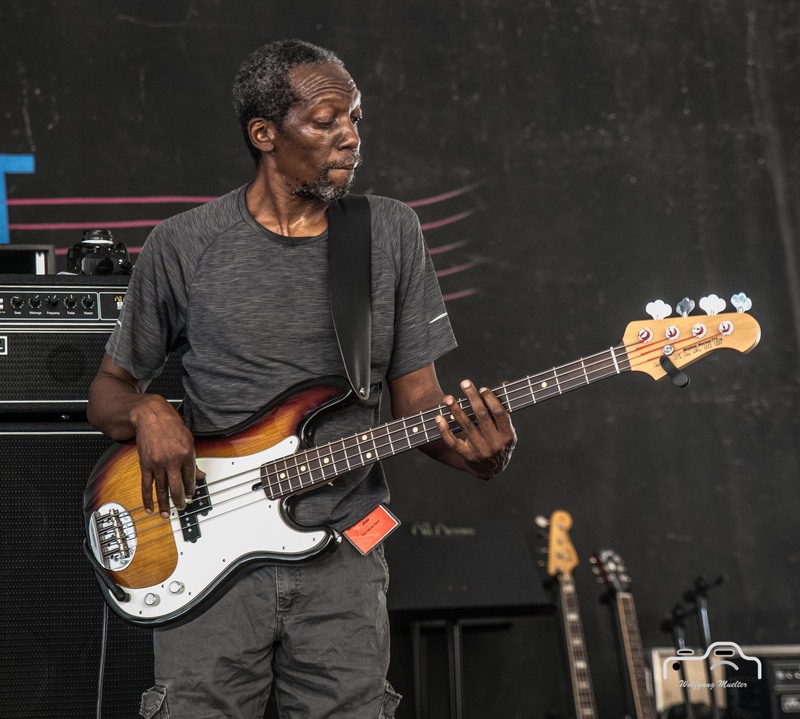 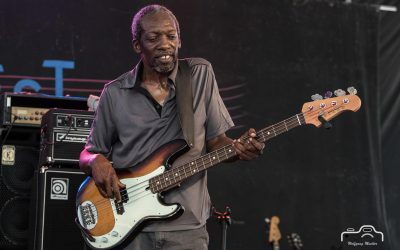 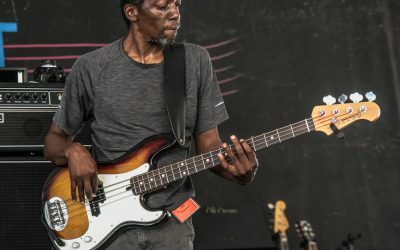 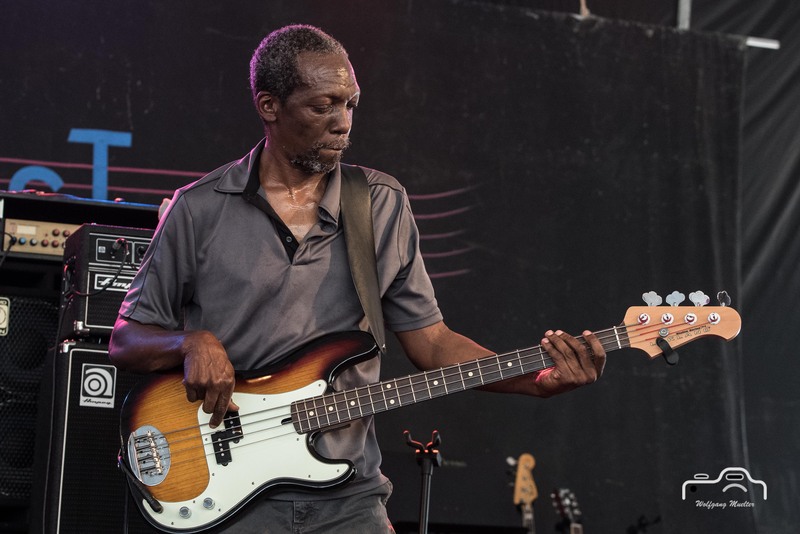 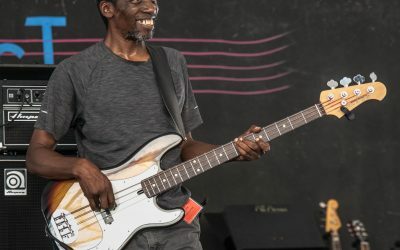 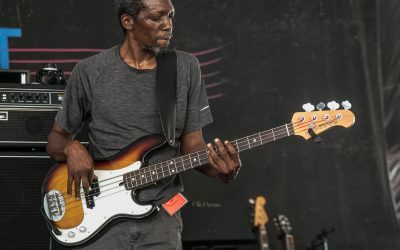 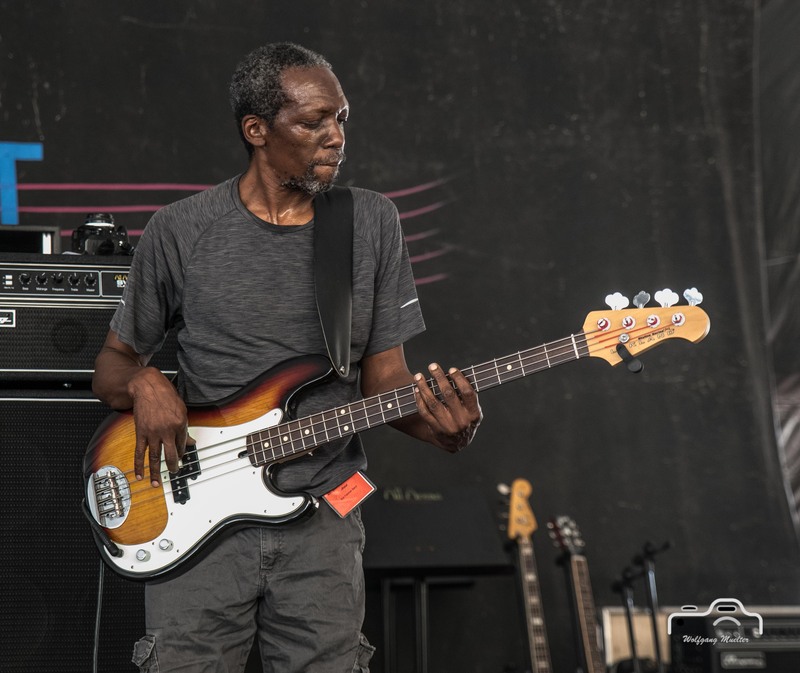 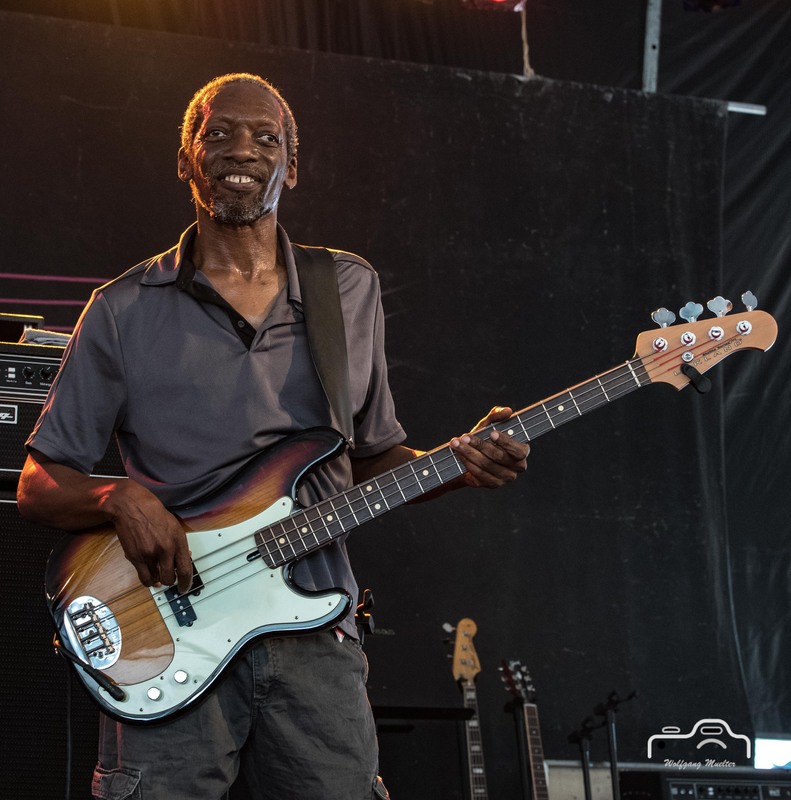 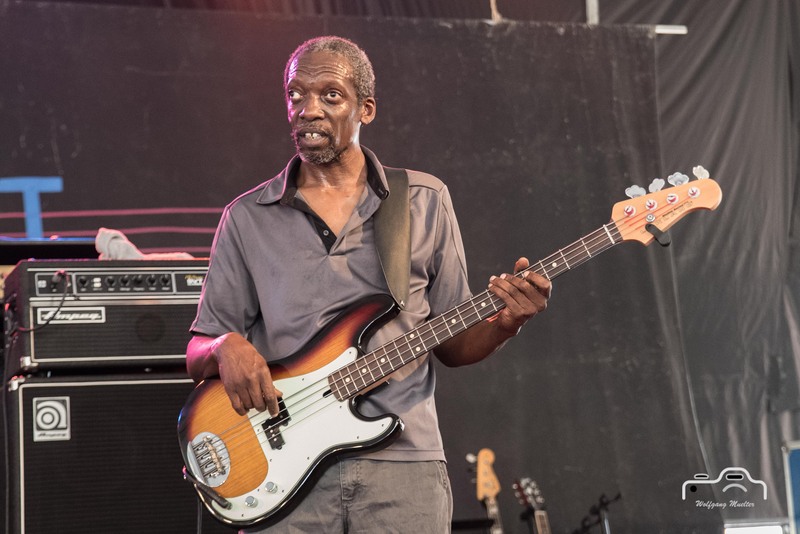 Kris Jefferson is a fascinating bass player from Brooklyn, NYC with a long history in a wide variety of styles. 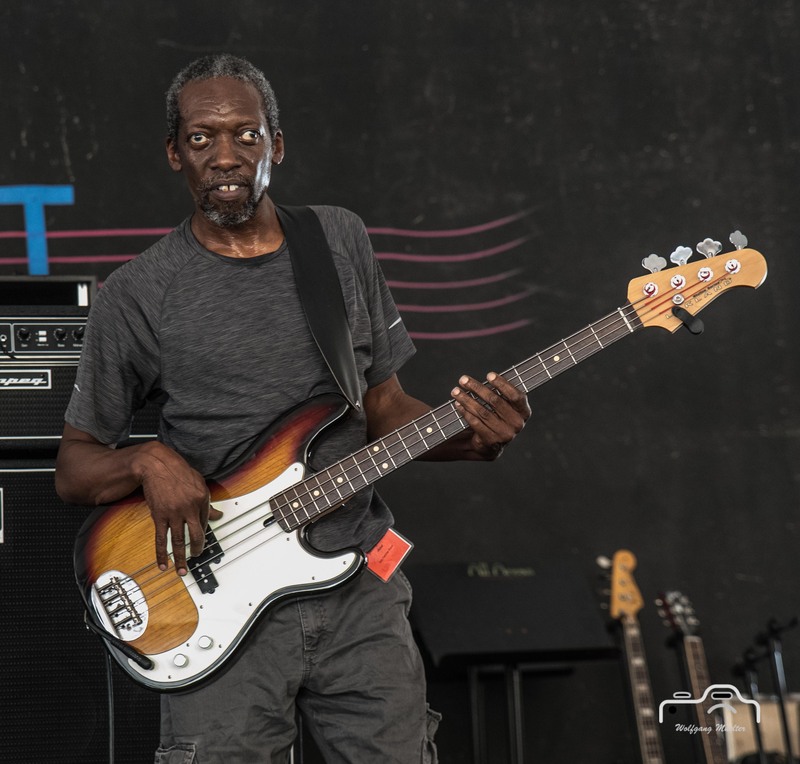 He shared the stage with many other well-known artists like Neal Black, Popa Chubby and and and. Fabrice Bessouat also played with many other blues artists like John Nemeth.